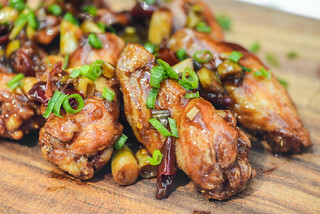 I'm closing out this month of wing recipes with what was easily the most talked about wings I've ever made—Xi'an-flavored chicken wings. 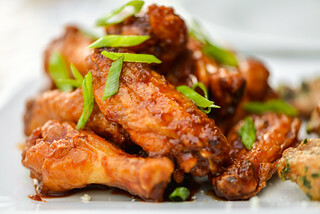 This recipe came by way of Serious Eats and looked pretty unassuming, but as with so many Sichuan-style dishes, looks can be deceiving, and that was certainly the case here with lightly browned, crispy wings that had a minimally seasoned appearance, but delivered a mouth numbing heat like none other. The power of these wings lay within Sichuan peppercorns, which have a spice that is not so much hot, but rather, numbing. To add a bit of real heat though, pepper flakes were added as well as cumin and fennel, which gave the mixture its distinctly earthy Xi'an flavor. I placed all four of these spices in a small cast iron skillet and toasted them until fragrant to deepen their flavor. I then transferred the whole spices to a grinder along with brown sugar and salt and pulsed until everything was coarsely ground. The resulting seasoning was incredibly potent—just a little dab on my fingertip to taste test imparted a hot, numbing sensation on my tongue. 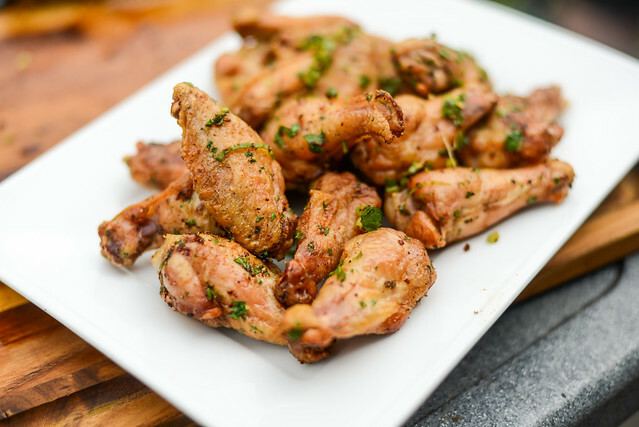 Besides the spices, there was nothing out of the ordinary with these wings from my normal process, which requires the wings to be coated in a salt and baking powder mixture (the baking powder aids in browning and developing a bubbly, crunchy skin on the grill). Next the wings are placed on a wire rack nested in a sheet pan which is set in the fridge for eight hours to allow the skin to air dry, which is also important for achieving maximum crispness when roasting. 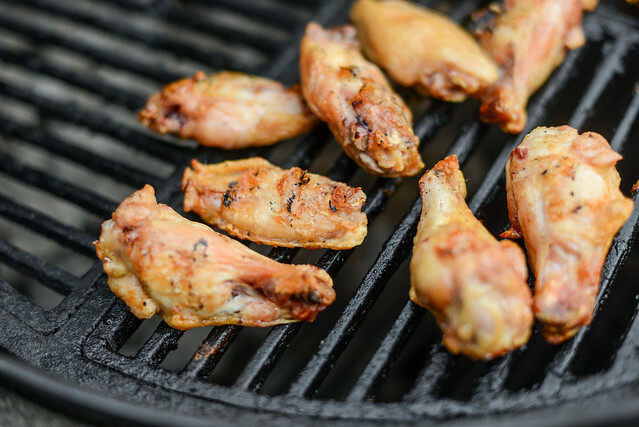 After the long stint in the fridge, the wings are placed on the cool side of a grill with a two-zone indirect fire running at high heat. 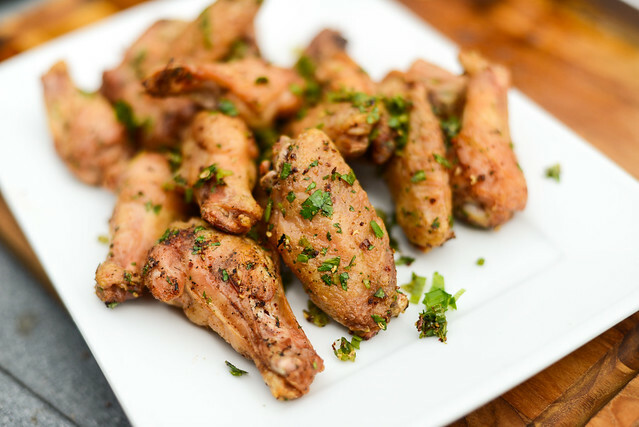 It takes a good 45 minutes for the chicken to become sufficiently browned and crisp, but the wait is well worth it for grilled wings that can rival fried ones any day. Once this batch of wings was done cooking, I transferred them to a large bowl and tossed them with a bit of oil, cilantro, and scallions. Then I started adding the seasoning mixture in batches, beginning with about 1/3 of what I had made. I tasted one wing and it was already damn powerful, leaving my lips numb and my tongue tingling. I wanted to push it a little further though and added a bit more of the seasoning and then deemed them ready to amaze. And amaze they did. Actually, I'd probably best describe it as shock and awe—their banal looks led to shock as, one-by-one, my guests discovered the incredibly unique type of heat these little morsels had. Then came the awe, as somehow numb mouths begged for more, making them equally cruel and addictive. 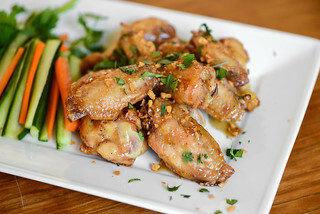 If you're looking for a wing like none you've had before, these Xi'an-flavored wings will probably do the trick. 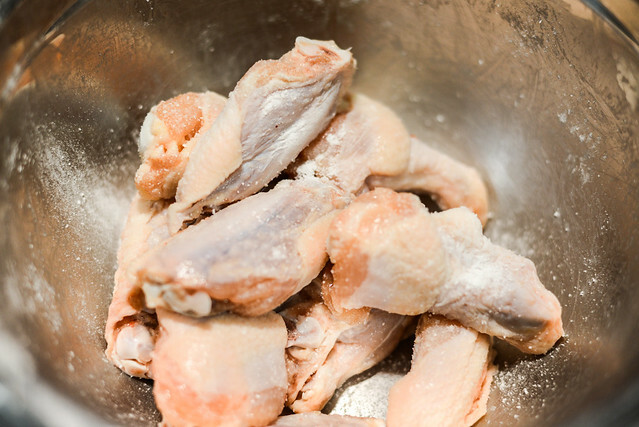 For the wings: Place wings in a large bowl and sprinkle on baking powder and salt, tossing to evenly coat. 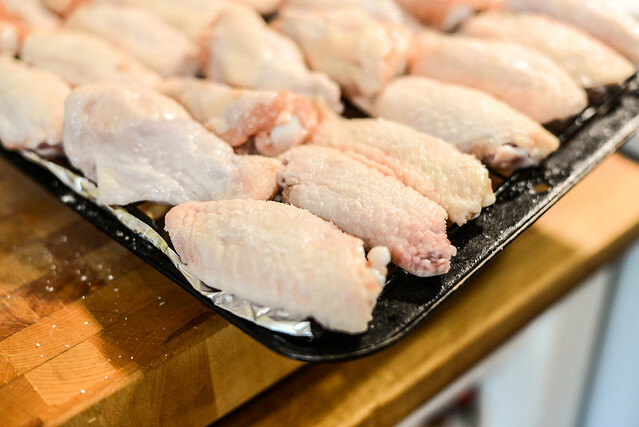 Arrange wings in a single layer on wire rack set inside a baking sheet lined with aluminum foil, leaving a little space between each wing. Place baking sheet with wings in refrigerator for 8 hours to overnight. 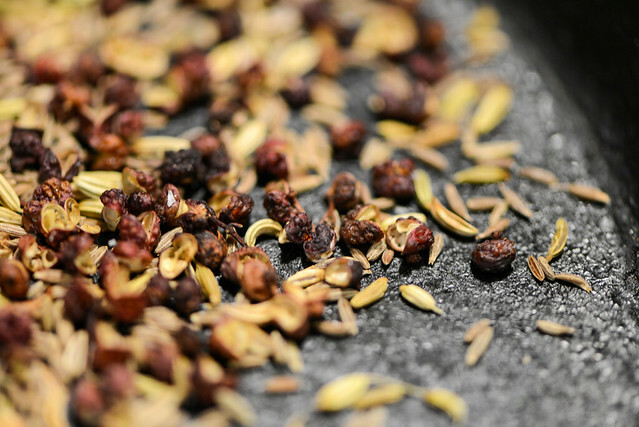 For the Seasoning: Place cumin, pepper flakes, Sichuan peppercorns, and fennel in a small skillet over medium-low and toast until fragrant, about 1 minute. 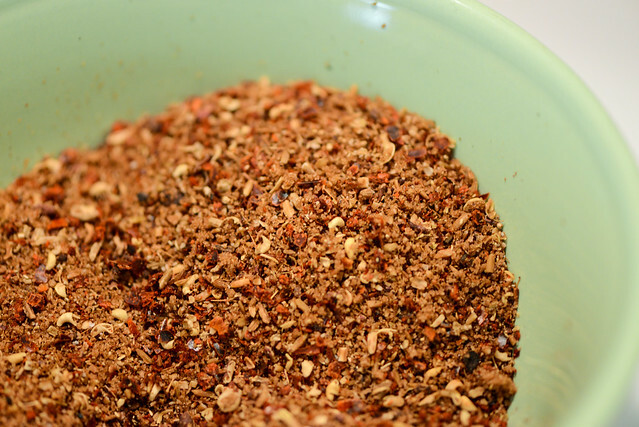 Transfer spices to a spice grinder and add brown sugar and salt. Pulse until mixture is coarsely ground. Transfer to a small bowl and set aside. Transfer wings to a large bowl. Add in oil and toss to thoroughly coat wings. Add in cilantro, scallions, and 1/2 of the seasoning mixture and toss to coat. 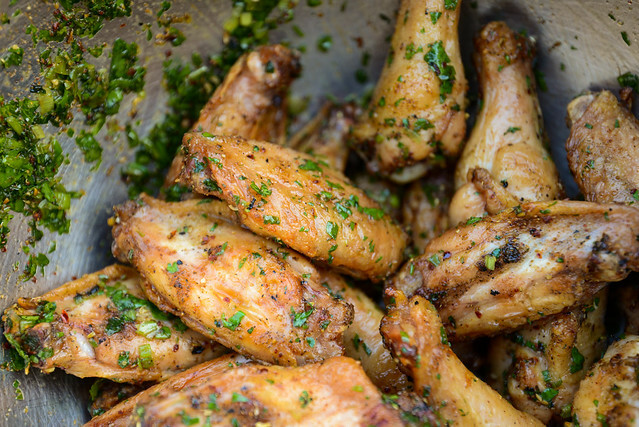 Taste wings and add additional seasoning to taste. Transfer to a platter and serve immediately. Thanks for passing this one on, I just have to make this. The peppery heat sounds addictive.